With Union armies poised to launch the final campaigns against the Confederacy in 1864, three of its five commanders were political generals—appointed officers with little or no military training. Army chief of staff Henry Halleck thought such generals jeopardized the lives of men under their command and he and his peers held them in utter contempt. Historians have largely followed suit. Thomas Goss, however, offers a new and more positive assessment of the leadership qualities of these Northern commanders. In the process, he cuts through the stereotypes of political generals as superfluous and largely inept tacticians, ambitious schemers, and military failures. 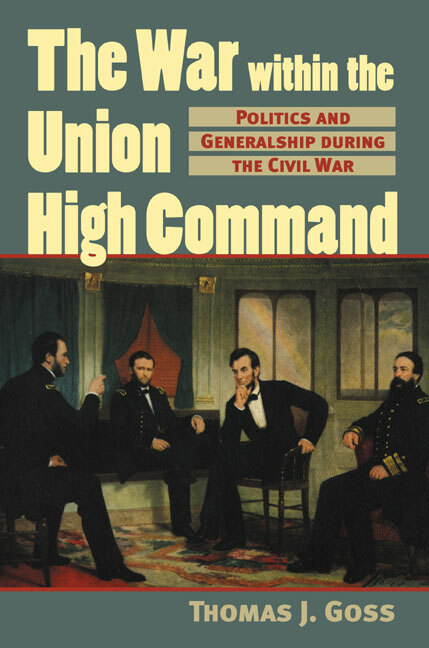 Goss examines the reasons why the selection process yielded so many generals who lacked military backgrounds and explores the tense and often bitter relationships among political and professional officers to illuminate the dynamics of Union generalship during the war. As this book reveals, professional generals viewed the war as a military problem requiring battlefield solutions, while appointees (and President Lincoln) focused more emphatically on the broader political contours of the struggle. The resulting friction often eroded Northern morale and damaged the Norths war effort. Goss challenges the traditional idea that success was measured only on the battlefield by demonstrating significant links between military success and the achievement of the Unions political objectives. Examining commanders like Benjamin Butler, Nathaniel Banks, John McClernand, John Fremont, and Franz Sigel, Goss shows how many filled vital functions by raising troops, boosting homefront morale, securing national support for the war—and sometimes even achieving significant success on the battlefield. Comparing these generals with their professional counterparts reveals that all had vital roles to play in helping Lincoln prosecute the war and that West Pointers, despite their military training, were not necessarily better prepared for waging war. Whether professional or appointed, Goss reminds us, all generals could be considered political inasmuch as war is a continuation of politics by other means. He shows us that far more was asked of Union commanders than to simply win battles and in so doing urges a new appreciation of those appointed leaders who were thrust into the maelstrom of the Civil War.